It’s that time of year again when the city comes together to celebrate design in all its forms from across the globe. 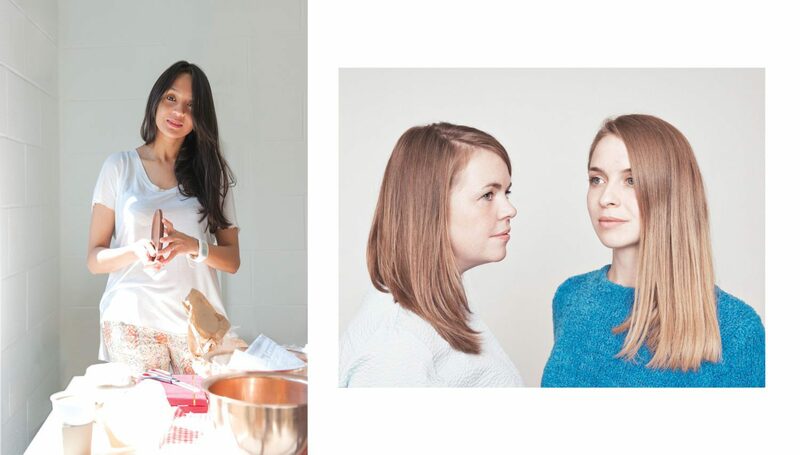 London Design Festival brings innovative and outstanding design to the capital for one week in September each year. We thought we would share our pick of the events that we found most inspiring last week. A key trending concept at LDF this year has been to question the future of urban living, adapting to congested habitats and researching innovative ways to build new homes. 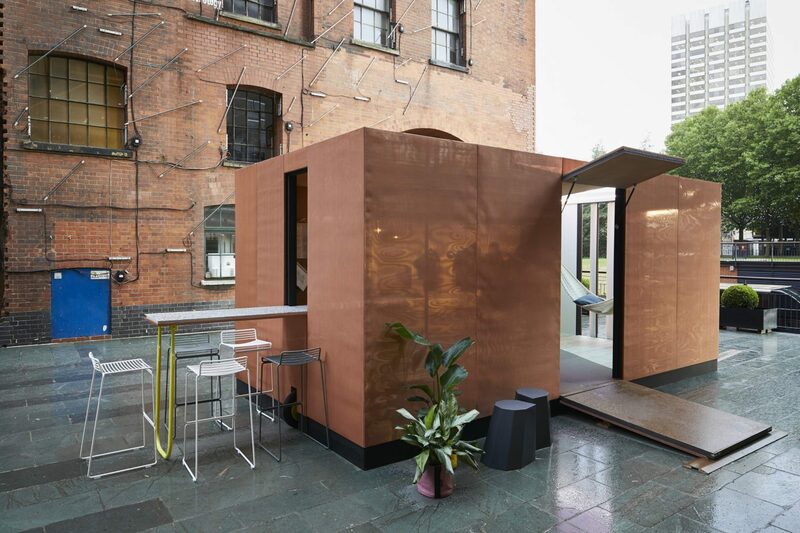 The Urban Cabin by MINI LIVING and Sam Jacob Studio, which is displayed in the courtyard area of the OXO Tower Wharf encourages viewers to pause and reflect of how much they really need in their homes, in order to still create a personal and welcoming space. An inventive approach to the use of the space, which is designed for Londoners to adapt and engage in the changes in home living within the capital. 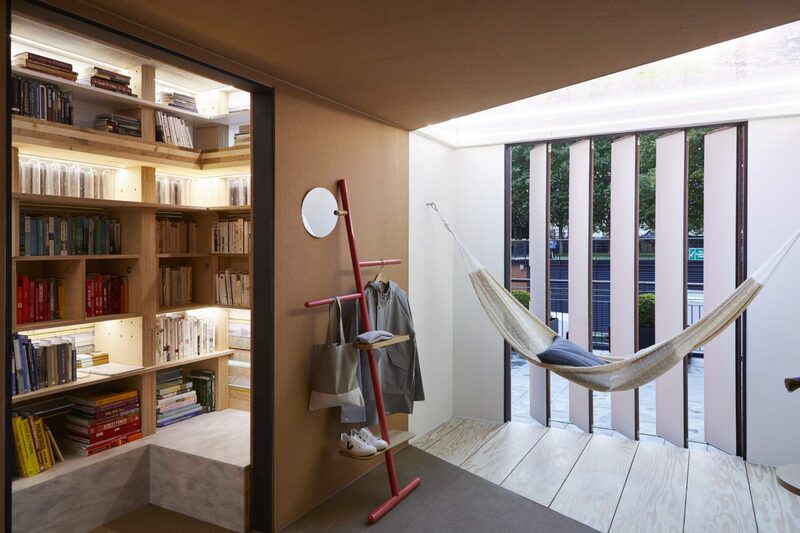 A compact, minimalist space with modular kitchen, hammock and micro library respond to issues such as the decreasing number of public libraries and the importance of using food markets through encouraging the use of the shared kitchen. A book swap for visitors to share literature took place throughout the week with a London theme, bringing the past and present together, questioning the future of residential living. 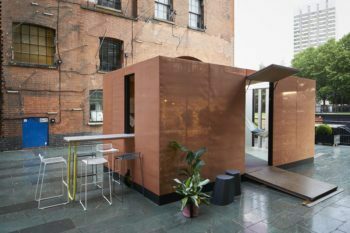 Read more about MINI LIVING . 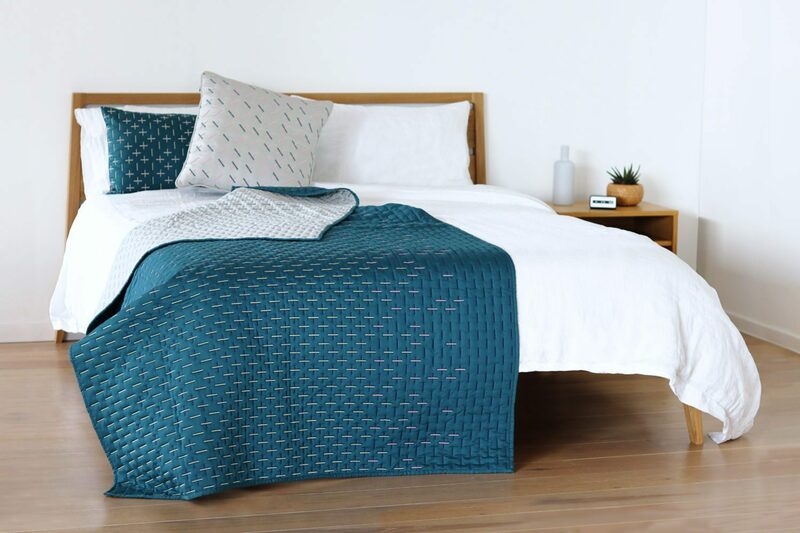 This year, London based design studio Tiipoi have joined forces with Danish textile designers Witek Golik to create Modern Kantha, which launched at this year’s London Design Festival. 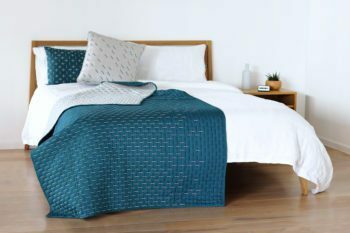 Described as bringing “Scandinavian sensibility together with ‘kantha’ a traditional embroidery technique from India”, the collection comprises of soft cotton sateen quilts and cushions in four colour ways. 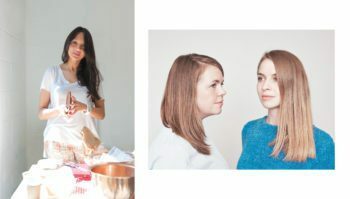 As part of LDF Tiipoi’s founder, Spandana Gopal held a talk with Witek Golik designers Martyna Golik and Sisse Witek to discuss more about the process and ideas behind their collaboration. 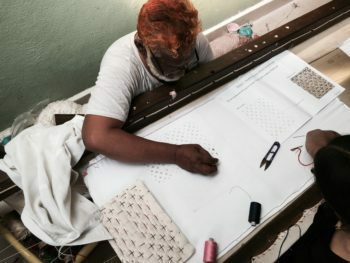 Kantha is a type of traditional embroidery technique using a simple running stich, that originates in Eastern India. It consists of using multiple rows of running stitches over an entire cloth, also serving a functional purpose to quilt the fabric together. 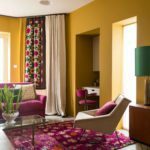 Traditionally old saris would be bound together using the kantha stitch to make a light blanket or quilt, combining decoration with functionality. Re-interpreting the technique, larger scale stitches are made using an embroidery machine rather than by hand. We love the results and can’t wait to see what’s next from the two design studios. Modern Kantha is available online at tiipoi.com and exclusively at Twentytwentyone. Scandinavian design retailer Skandium, have recently moved into their new Townhouse residence a stones throw from their previous Brompton Road store. 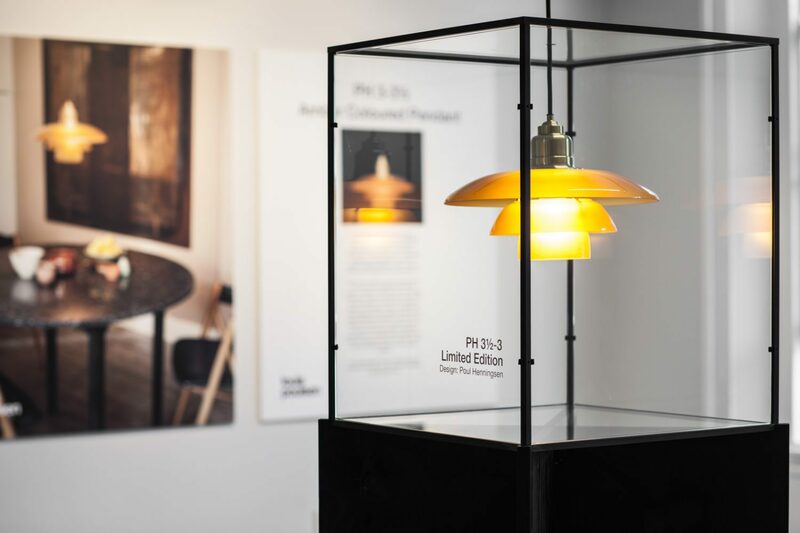 To celebrate their new home, Skandium have opened early to present an installation by designers GamFratesi, around their new YUH collection for Danish lighting manufacturers Louis Poulsen. The installation displayed their new collection of table, floor and wall lamps by illustrating how Scandinavian lighting and furniture design can create and alter the ambiance in a room. The exhibition also saw the launch of a new limited edition light, the PH3 1/2-3 Pendant Lamp, made from amber coloured glass with brass suspension. 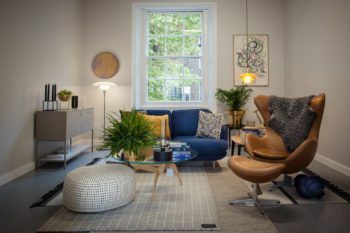 The Skandium Townhouse officially opens on the 2nd October. 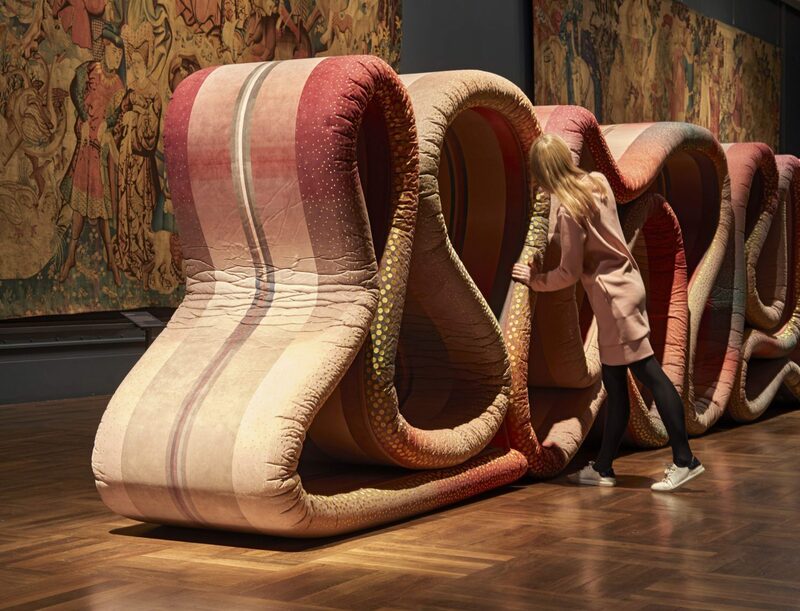 Within the Tapestry Gallery at the V&A sits Ross Lovegrove’s Transmission, a serpent-like textile sculpture, which snakes down the centre of the room. 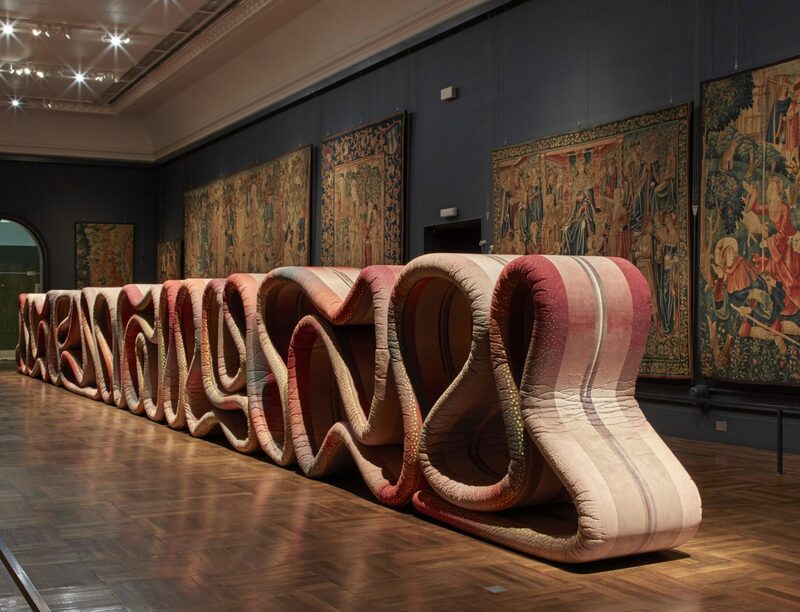 With its undulating curves and folds, the soft and tactile installation encourages viewers to touch and use the object, peering through the many gaps to gain a new viewpoint of the 15th century tapestries. Lovegrove explains his hopes that Transmission will “bridge time and give a sense that visitors can view the tapestries while feeling them in some sense at the same time”. 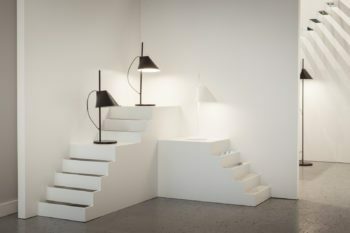 It is made using an innovative sound absorbent material, Alcantara, and decorated with gold and silver threads, which gives off a soft, glistening glow when the viewer walks around the room. We found it to be a meditative area of quietness and reflection in a busy week of London Design Festival! 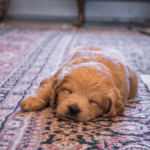 Salvage Design with Retrouvius Co-Founder Maria Speake What is The Best Rug For Dog Owners?